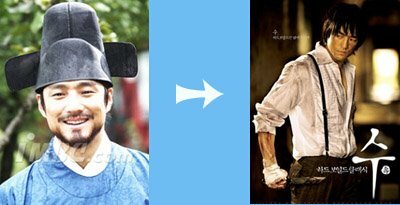 Actor Ji Jin-hee has shed his previous gentle image and transformed into a “tough guy” in his first action movie, Su. Su is the first Korean movie by ethnic Korean director Choi Yang-il, who is globally renowned as the best filmmaker in Japan and the godfather of “hardboiled” films. In the movie, Ji charismatically portrays a cold-hearted man who avenges his brother’s death. Su sets the standard for the new genre called “hardboiled classic.” The unveiling of the movie’s teaser-poster has drawn attention to how Choi’s powerful and sophisticated production techniques will harmonize with the passionate and talented acting of the movie’s cast. Ji expressed a strong commitment to movie, in which he plays his first action role. During the photo shoot of the poster, he fully displayed his charisma and exquisite facial acting, and even used an axe that appears in the movie as the main weapon of his character. Su a hardboiled classic that blends the cynical yet sensitive visual images created by director Choi Yang-il with powerful action and a well-knit plot, will open late this year. Click here to see bigger version of the teaser poster. doozy: Anyone remember this actor as the brave and kind (not to mention handsome) government official in Dae Jang Geum with Lee Young Ae? The teaser poster looks very dark and intriguing. Jin Ji Hee is holding a knife. Watch out, everybody!